That is pretty good. Wonderful stitching. That’s really pretty and WOW! 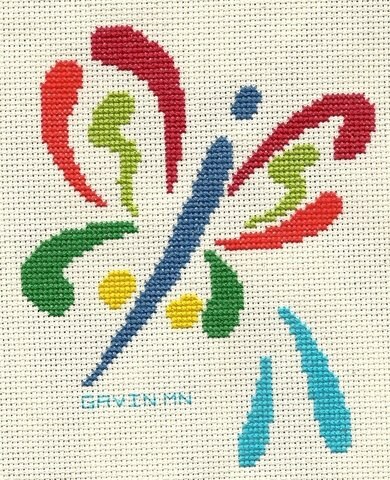 He’s 9 – way to go, Gavin!! Beginning the cross stitch addiction on a beautiful stroke.